A foaming gel cleanser that deeply cleanses skin of impurities and dullness without over-drying. Skin feels refreshed, soft & ready for treatment products. Formulated with Triple-Gold Super LIFTING & FIRMING Complex, it contains powerful and effective paraben free, youth restoring ingredients. 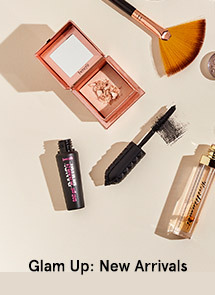 Firming Eye Serum firms, lifts and lightens in one brilliantly executed formula, employing advanced technologies and Triple-Gold Firming and Lifting Complex ingredients to zero in on a specific challenge. It also provides instant hydration, while smoothing out the appearance of fine lines and wrinkles, diminishing the sensation of puffiness, banish dark circles, improving elasticity and firmness. Skin’s surface is refined and restored. 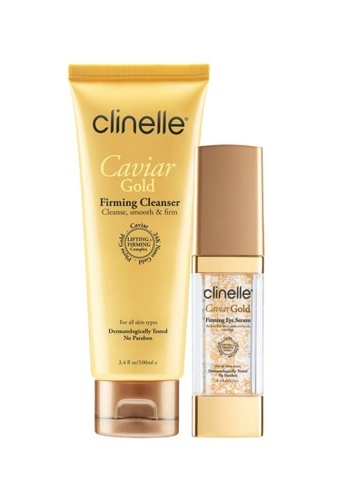 Can't find Skin Care: Clinelle [Official] CaviarGold Firming Cleanser (100ml) + Firming Eye Serum (15ml) in your size?